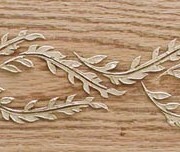 This plaster vine stencil is a unique little border design of twisting vines of tiny leaves that create “waves” yet in a straight border on your wall or ceiling. It’s single stencil format makes it super easy to do and it’s 4.5″ x 16″ of repeatable beauty! Use it over existing moldings (wider moldings required), create a chair rail level border or do against the ceiling and floor with it. 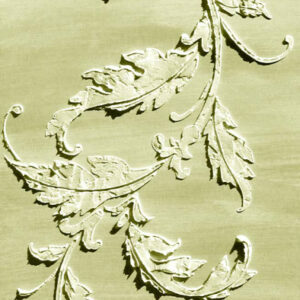 Use it completely around door jams or as an angled design going up the wall of your staircase. Wrap it around a planter pot for the deck, surround your plain TV stand in it or do it on the fascia boards of your deck rail or up the front porch posts! It’s detailed and so very pretty! 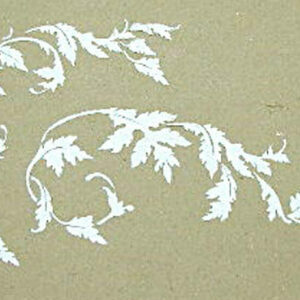 Did you know that plaster stencils can be used outdoors as well? 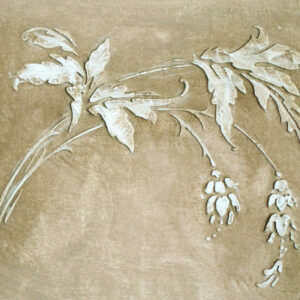 Plaster the design with joint compound as you would indoors. 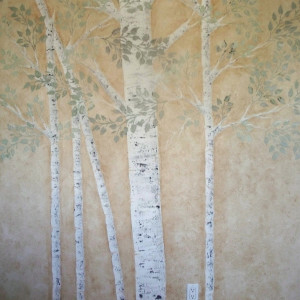 But now, paint over the design with exterior paint and it will last and last!